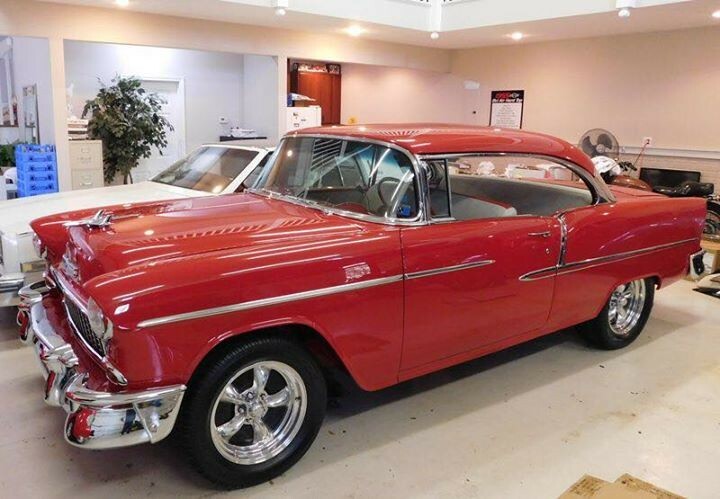 Now available by The Motor Masters is a 1955 Chevrolet Bel Air for sale. We sell a whole lot of Chevys like this pretty 1955 Chevrolet Bel Air hardtop. The reason? 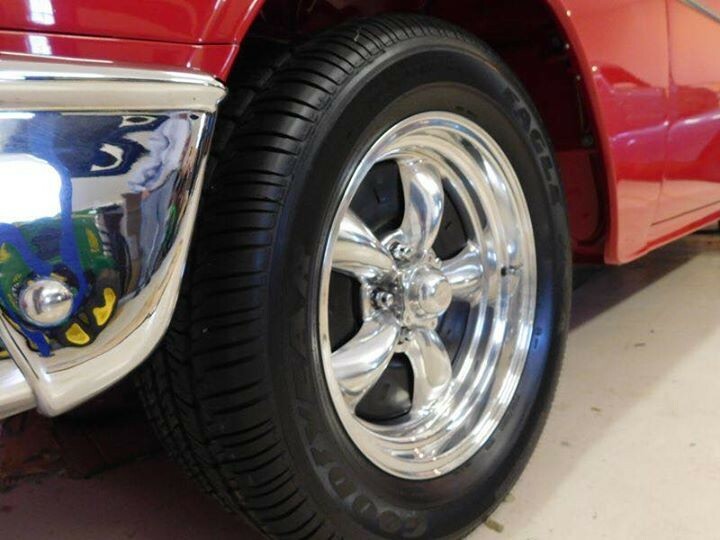 Because their classic looks are always in style, they’re easy to modify, and typically run and drive like modern cars. 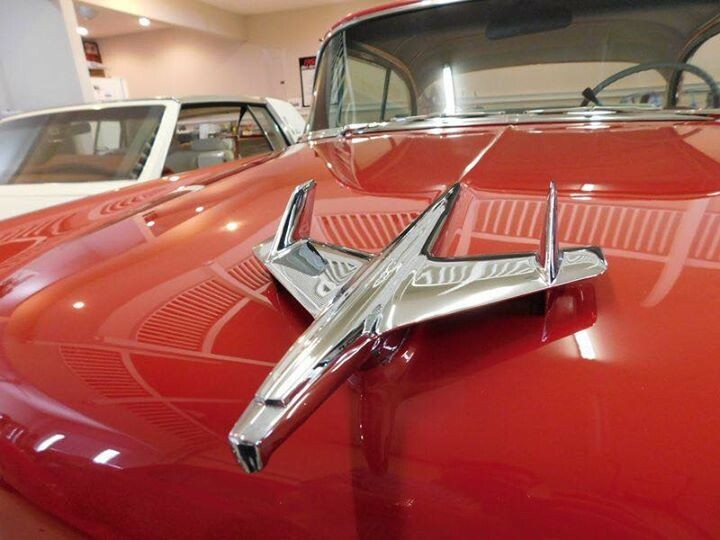 Plus there’s the fact that a lot of folks grew up with fond memories of cars from the ’50s. In fact, if I had to name the perfect hobby car, it might be something just like this bright red hardtop. 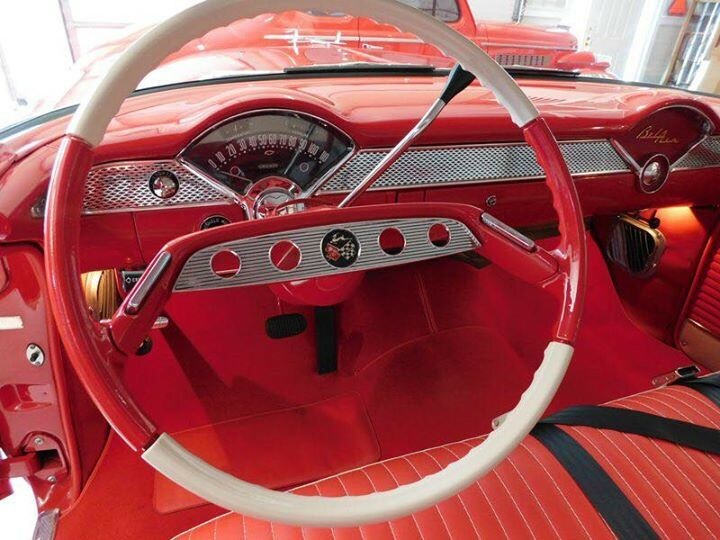 Chevy’s familiar Victory Red never goes out of style, and even though it’s a bit more modern than this 1955, it looks right, which is a tribute to the quality of the Chevy’s design. 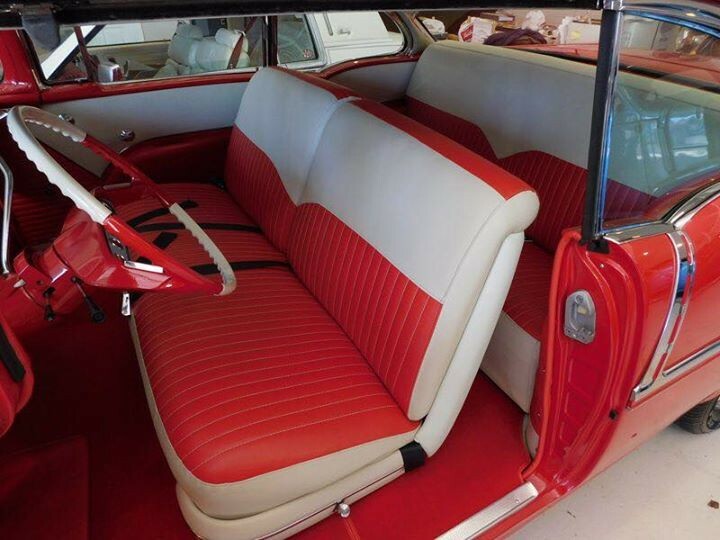 This car was treated to some high-quality work during its restoration, but it respected the original design, so nothing radical happened to it. That means no chopping, no cutting, no shaving, but plenty of attention paid to things like gaps and finish quality. The doors, the even trunk lid, and the stainless side trim between the doors and quarter panels are all perfect. 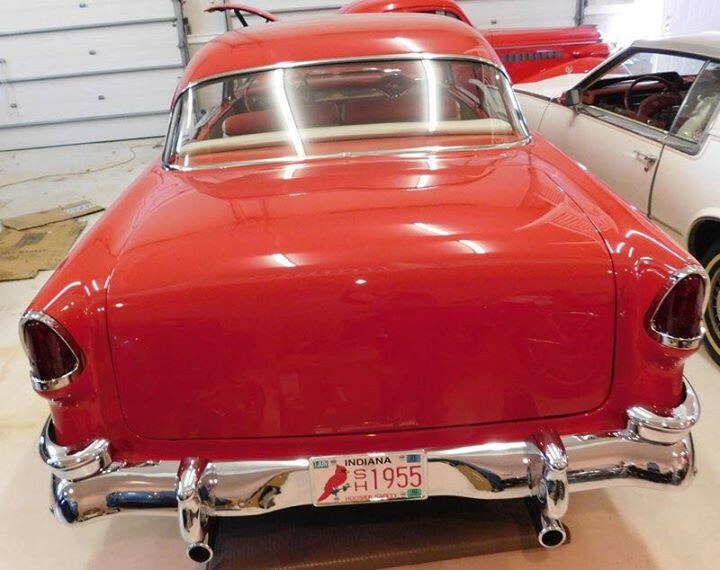 Getting a car to look like this also requires a commitment to the chrome shop, and all the brightwork is in extremely good shape, especially the bumpers that are so highly sought by builders today. 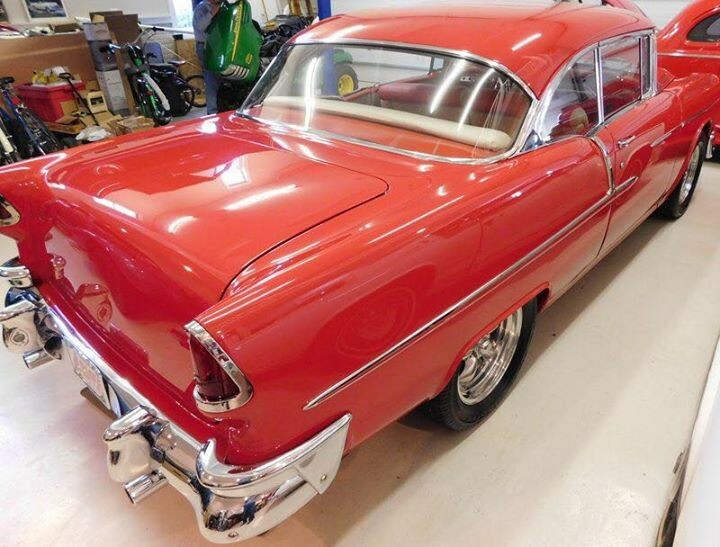 Frame off restored ’55 Bel Air 2 door hardtop with 575 miles since completed. Show winning car that is as clean underneath as on the top side. 350 V8 (400+ hp) with 700 R4 transmission, power disc brakes, power Saginaw rack and pinion steering, 17″ American Racing Torque Thrust wheels with Goodyear tires, and 9″ Ford rear (3:70 gears). High end Viper Red paint with arrow straight body Floors, frame, trunk, and engine compartment are painted to match. All chrome, trim, weatherstripping and interior is new as to be expected on a car of this level. 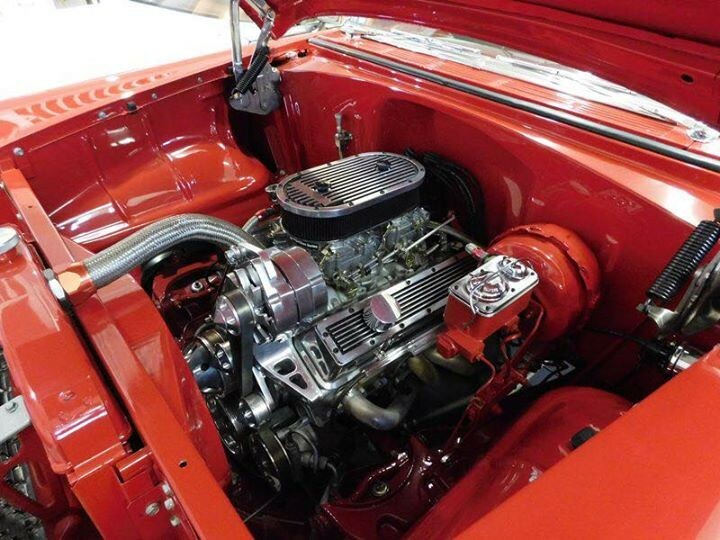 Highly detailed engine compartment with dual Carter 500 cfm carbs and serpentine belt system. The car was acid dipped and completey taken down during the 4 year restoration – no nut or bolt was left unturned or polished. Talk about a Bel Air…this is the one to own. Give us a call TODAY!